Since I have involved in the current project, which is EPC project, I always want to make some short writing and simple guideline to create piping and instrumentation diagram (P&ID) for several equipments, such as pump, tank, vessel, compressor, and so on. This post will be my first post on simple guideline related to configuration of pump in piping and instrumentation diagram. All the nozzles should be correctly represented with size and flanges. Generally, the suction and discharge nozzles on the pump are smaller than suction and discharge line sizes. Appropriate reducer / expander to be clearly indicated in such cases. Inlet and outlet lines are the next to be drawn up. Line number, material class, size, pressure rating, etc. is to be correctly assigned to each of the lines. As already described in previous posts (such as here and here), I was involved in EPC project. 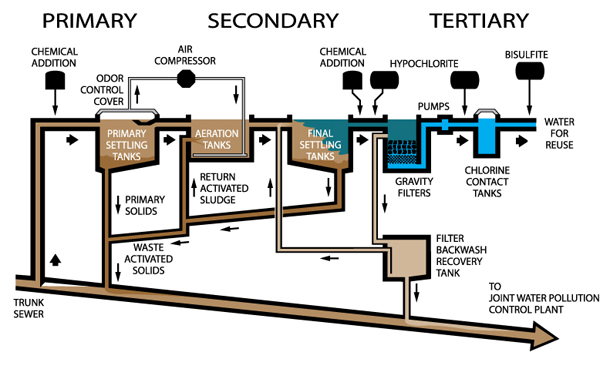 Creating piping and instrumentation diagram (P&ID) is one of my responsibility. I think P&ID is a collection of information and collaboration of every discipline, such as process, mechanical, electrical, and instrumentation. Once I think creating P&ID is easy enough, but I change my mind then. It is not. I think this is the first time someone in my company asked that question. People usually asks what is your job now? Or in what project are you involved? That’s very common. I needed a second to find the answer. Then I answered, I kept concentrating on process. Honestly, I’m not sure that’s the right answer. I just need to answer right away. I said I learn utilities (not all utilities of course. It’s just water treatment plant, wastewater treatment plant, thermal oil heater, and fire fighting system). I just said that was the only job left for me. I kept concentrating, doing, revising, finishing utilities of our current project. I made Piping & Instrumentation diagram, prepare engineering document (such as individual specification, requisition, and other). I keep thinking about the last question. Sometimes, I want to ask: can we choose what we want to do? It is because we usually do what we need to do or what job left for us. I don’t say that’s good or bad. In my experience, in the beginning of the project I am involved in, I had difficulties to finish my jobs. It took several weeks for me to finish piping and instrumentation diagram. Not only that, I also found difficulties to make document, such as design basis for fire fighting system. And the last one, I felt it is not easy to select the appropriate vendor for our water treatment plant. Then I learnt. We found difficulties, we learnt, then we solved them. That’s life. And when you solved them, you feel like a genius like Einstein. I felt that way. It is hard to always do what you love because sometimes you need to do what you don’t love. But you can put love in everything you do. That makes me strong until now as inexperienced engineer who wants to be a professional. About two days ago, I had a short yet inspiring conversation with my boss about one alumnus who works as commissioner in waste water treatment plant company. He’s chemical engineering student from ITB class of 1995. My boss said that there was a tendency among chemical engineering alumni class of 1995 to develop their own business. Class of 1988 also did so. Then I asked my self. I didn’t find the answer. My boss said the working tendency can see seen seven to ten years after I graduated. So I will find the answer in 2016-2019. I sometimes imagine what kind of people I will be in the future? Will I be the same person as I am today? Will I still work as chemical engineering consultant? Or will I be someone totally different? I don’t know. But I do feel I will be totally different person in the future. I will be working for one year in this company by next month. I still have one question in my mind: do I love what I do. 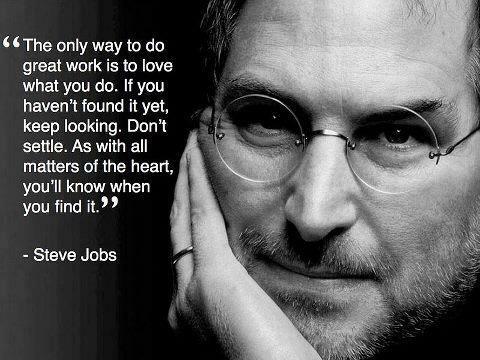 I find it’s natural for someone to love and not to love some parts of their work. It also happens to me. I also imagine if I were not working as chemical engineer, what would I do? I have been actively blogging since 2006 and I start to understand blogging and writing is part of my life. I had experience making money by writing (although it’s still amateur). I keep writing and blogging after work hours to heal my self and find self enjoyment. I feel much better at work after fulfilling this hobby. If I were not working as chemical engineer, I would like to be a teacher, especially elementary school teacher. I love kids and I love to develop them emotionally and intellectually. I realize sharing and develop people to be a better person is my passion. I feel like I have ability to explore someone’s personality and help them to accomplish their goals in life. When I was a kid, I sometimes thinking I was born to learn in my whole life. I also imagined to have my own lab at home. When I pursued master degree, I realized working on lab excited me very much. I enjoy working overtime and dealing with microorganism, reading journals, and try new methods and see the results. Energy security is a big concerns of almost every country. Most of countries, like Indonesia, relies on petroleum oil as main energy source. As a big population country, demand energy and resources will increase in Indonesia. In addition, the issue concerning climate change, pollution, and improving life quality for people encourage us to seek alternatives of fossil fuel. Indonesia is facing a long-term problem: energy shortage. Dahlan Iskan (ex-CEO of State-owned Power Company, PLN) also admitted the country’ supply of electricity is very limited. PLN has encountered power shortages in 250 regions, including 243 location in eastern Indonesia (source). The reason of power shortage in some areas is due to inadequate transmission and distribution infrastructure (source). Total energy consumption in Indonesia per capita remains low. In 2009 it reached 0.8 toe compared to world average of 1.8 toe (source). 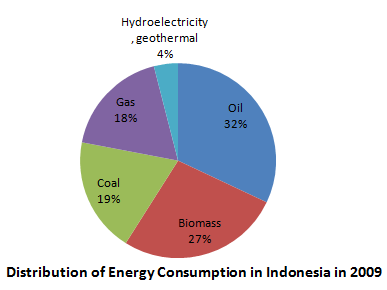 Indonesia has a wide variety of energy resources, including fossil and non-fossil resources. 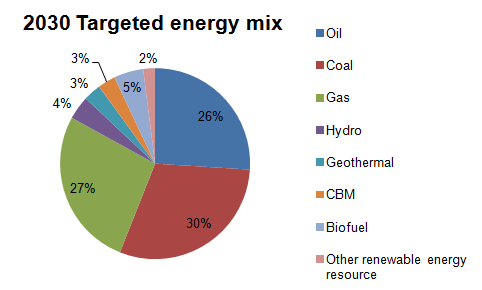 The major energy resource fueling Indonesia’s economy is oil, providing 32% of total. Biomass came second with 27% particularly in the more remote areas that lack to Indonesia’s energy transmission network, while coal accounted 19% to fuel new power generation, gas for 18%, and primary electricity (hydroelectricity, geothermal) for 4% (source). 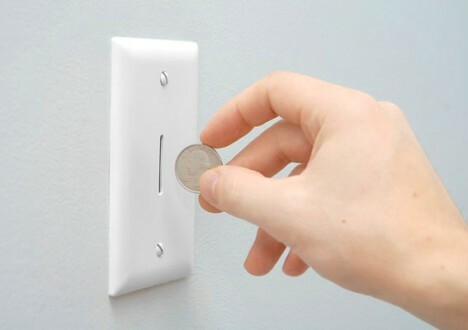 Electricity consumption per capita is very low and reached 570 kWh in 2009, compared with a world average of 2500 kWh. Energy consumption has increased by more than 8.5% per year since 1990, more rapidly than total energy consumption. It is due to the use of electricity in all sectors and the increase in the country’s electrification rate (source). Indonesia is currently a net importer of crude oil and refined product. Indonesia is the only OPEC member (Organization of Petroleum Exporting Countries) that is the net oil importer. Its oil production has declined over the years owing to ageing of oil fields and lack of investment in new equipment. Indonesia is ranked eighth in world gas production with proven reserves of 108 trillion cubic feet in year 2010. This ranks eleventh in the world and the largest in Asia Pacific region. Gas reserves are equivalent to three times Indonesia’s oil reserves and can supply the country for 50 years at current production rate (source). Renewable energy resources have been largely unexploited due to the perceived high up-front cost and lack of infrastructure to match supply with demand (source). Indonesia has significant geothermal reserves (around 40% of the world’s reserves) and the potential to produce 27,710 MW of electricity. However only 1,200 MW of power capacity has been built. Based on the National Power General Plan and Presidential Regulation No. 5/2006 the contribution of renewable energy is to increase from its current 5% to 17% of the total energy consumption in 2025. Geothermal is expected to account for 5% of the contribution of renewable energy with a target 9,500 MW by 2025 (source). Solar energy in Indonesia is quite large and reaches 4-5 kWh/m2, but the efficiency of solar photovoltaic cell has only reached 10%. Since investment cost of solar PV is very high although fuel cost is zero, the electricity generation from solar energy is less competitive compared to other energy. However solar energy in the form of solar home system will be utilized in remote areas where no other alternative sources for electricity generation (source). Electricity generation potential from the roughly 150 Mt of biomass residues produced per year to be about 50 GW or equivalent to 470 GJ/year roughly (assuming the main source of biomass energy in Indonesia will be rice residues with a technical energy potential of 150 GJ.year, source). Other potential biomass sources are rubber wood residues (120 GJ/year), sugar mill residues (78 GJ/year), and palm oil residues (67 GJ/year). Indonesia has abundant hydropower resources and has been successful in developing micro, mini, small, and large hydropower plants over the past decades. Small hydro potential is distributed around islands, can be developed as local energy resources especially in remote areas for rural independent power supply.